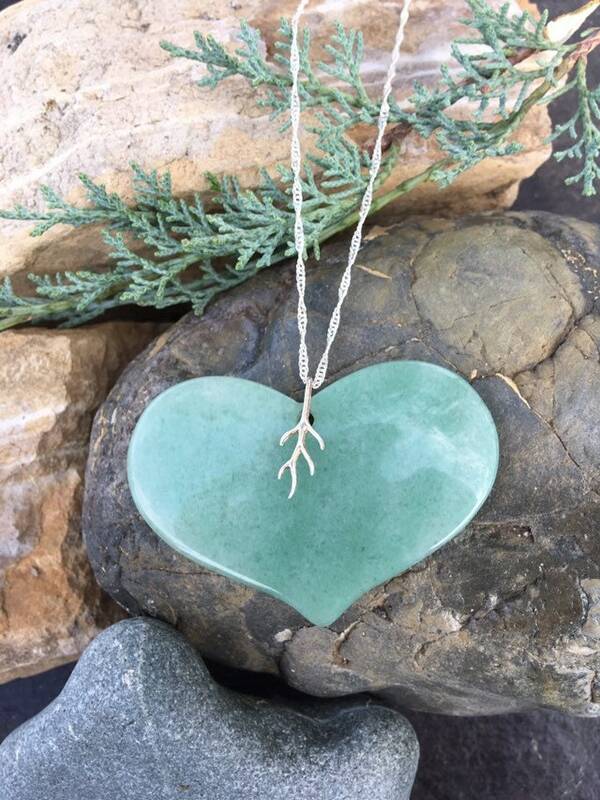 This beautiful, large stone heart is made out of aventurine. The stone is such a lovely, soft green. It's on a 20” long sterling silver chain. The bail is sterling silver as well.